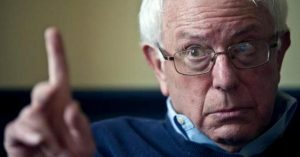 “I hope every American is listening,” warned Sanders, “about what [Speaker of the House] Paul Ryan and other Republicans are saying about how they’re going to offset the $1.5 trillion in deficits they have created. And that is, they’re going to come back in the very near future for “entitlement reform”—which, in real language, means massive cuts to Social Security, Medicare, and Medicaid. In the wake of the passage of the final “tax scam’ bill in the U.S. House of Representatives on Tuesday afternoon, Sen. Bernie Sanders (I-Vt) called it “a great day” for the nation’s oligarchical billionaire class and repeated his warning that what President Donald Trump and the GOP controlling both chambers of Congress are attempting to do should be seen for what it is: the “unprecedented looting of the federal treasury” by the nation’s corporate interests and wealthy Republican donors. Sanders laid out his perspective on the bill, which the GOP-controlled Senate is expected to vote on Tuesday evening, and issued a warning for what the Republican’s are planning if and when they successfully get the legislative proposal to President Donald Trump’s desk before the Christmas holiday.